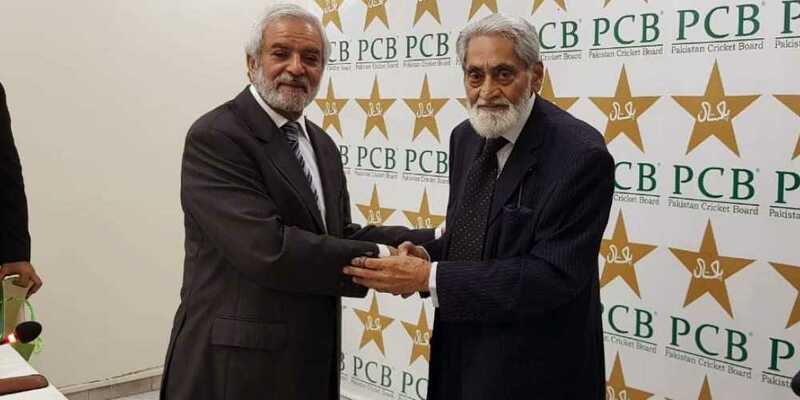 Ehsan Mani, who was nominated by Prime Minister Imran Khan, has been elected as Chairman Pakistan Cricket Board unopposed as no one submitted nomination for the top office. "Ehsan Mani has been elected Chairman PCB by the Board of Governors (BoG.) Mani was elected unopposed in the BoG meeting convened at the Gaddafi Stadium, Lahore today for a period of three years," the PCB said in a statement. PM Khan has named former ICC president Ehsan Mani as chairman PCB last month. The prime minster, who is also patron of the PCB, has taken this decision after Najam Sethi resigned as chairman of the board. Imran Khan also tweeted and said: “I have appointed Ehsan Mani as Chairman PCB. He brings vast and valuable experience to the job. He represented PCB in the ICC; was Treasurer ICC for 3 yrs and then headed the ICC for another 3 yrs”. Mani has been a well-known personality in international cricket and worked in various capacities for the International Cricket Council (ICC) and the PCB. He had represented the PCB in the ICC from 1989 to 1996 and later he was elected by the ICC member nations to the position of Chairman of the ICC Finance and Marketing Committee. He held on to this post until it was dissolved in June 2002. Mani also acted as the PCB representative in the advisory committee for the Cricket World Cup tournaments of 1996 and 1999. After that he took over as the Vice-President of the ICC Executive Board. He has also served on a number of ICC Committees, such as the Chairman's Advisory Committee, set up to advise Lord Cowdrey and Sir Clyde Walcott and during their stint as ICC President. Other committees he has been a part of were the Rules Review Committee and the Governance and Organisation Committee. In June 2003, he became the ICC President. Mani is on the board of a number of UK based companies mostly banking and real-estate. He had been on Shaukat Khanum Memorial Cancer Hospital’s Board of Directors for the last six or seven years. However, the prime minister later said in another tweet that Ehsan Mani in the first stage would be placed on the Board of Governors in the PCB. Later, he will contest election for the position of chairman of the board. “We will follow the set procedure which entails my nominating him on the PCB Board of Governors. He may then contest elections for the position of Chairman PCB”, the tweet said.